It is important to know that what type of documents & certificate could be submit or upload on DigiLocker or DigitalLocker website online because currently only 10MB of space is providing to the users on the website of DigiLocker.gov.in & DigitalLocker.gov.in. Here on this page you can find the list of document & certificate you can upload on the DigiLocker but if you want to know uploading procedure on DigitalLocker then you can read my recently publish article on How to upload my Documents in DigitalLocker? 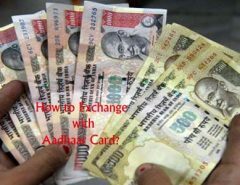 You can find more documents option in the website while you have login if you don’t know how to login or sign up in DigiLocker or DigitalLocker website then read this How to Sign Up For DigiLocker with Your Aadhar Card? 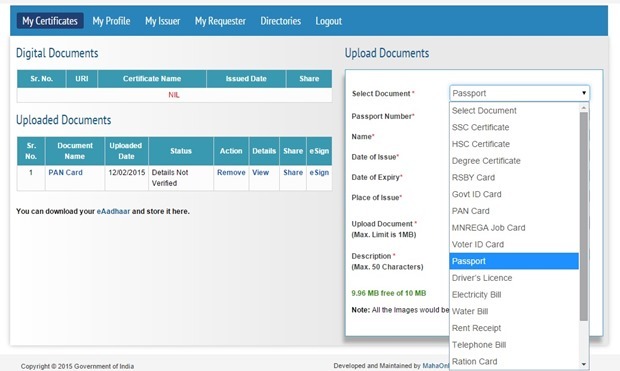 I have also shared the image/photo/pic of documents which you submit in DigiLocker.